Complete integrated solutions to all your hot water requirements. Prompt, friendly, quality service at very competitive prices. First class tradesmen in fully equipped trucks ensure that your hot water heater problems are quickly and efficiently resolved. 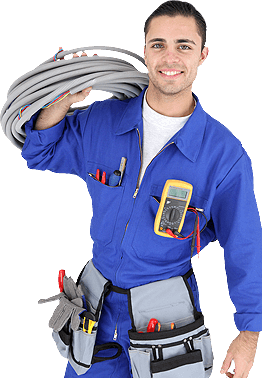 All work is carried out by our trained and qualified tradespeople. We do not employ sub-contractors or outsource work to unskilled workers. Competitive pricing. We will beat any genuine quote TODAY!! Did you know that your hot water system should be serviced every five years? There are a number of ways you can ensure the safe working operation of your hot water heater, whilst also increasing the cylinders longevity, therefore saving you both money and inconvenience. Your hot water service should be undertaken by a licensed hot water plumbing technician no longer than every five years. If this time period lapses it may result in the manufactures warranty becoming void. It doesn’t take long for a technician to service a system – usually between 30 to 45 minutes. It’s a small price to pay for peace of mind and trouble free hot water usage. We service all electric water heaters, gas and solar hot water systems including Rheem, Dux, Rinnai, Aquamax, Bosch, Conergy, Hocking, Apricus, Vulcan, Edwards Solar, Solahart, and more. Commercial water heaters come in a variety of sizes and have a range of maintenance requirements. If your commercial water heater hasn’t been well maintained, we can help you get that water heater’s performance back on track. Alderbrook Plumbing we can manage the complete installation of a new commercial hot water system if that’s called for, but often we can get your water heater repaired quickly and efficiently. We will beat any written quote and our technicians will explain the problem and help you implement techniques to prevent a recurrence of those water heater problems.